We would like to present you our new opportunity for easy, fast and convenient orders and reservations through your smartphone. For your convenience we have developed а mobile application in collaboration with our friends from FastMenu GmbH, which can be downloaded for free on Google Play and the App Store. Click on the logo to open the app. 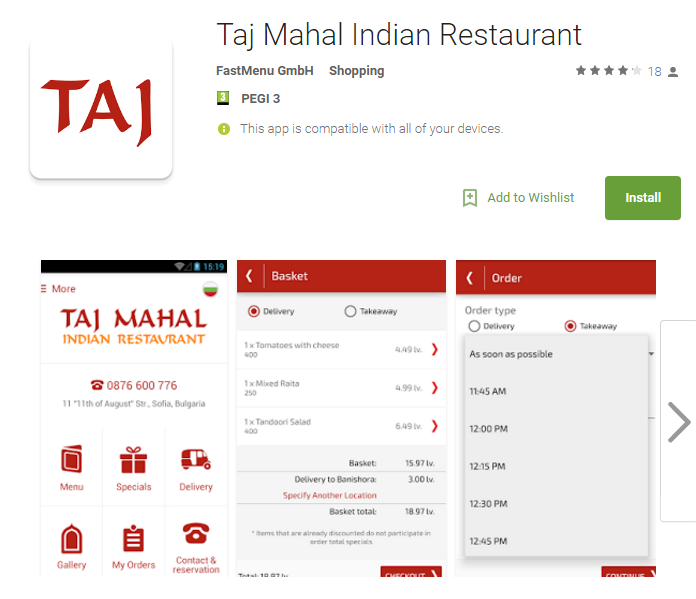 Restaurant Taj Mahal now has a mobile app for an even quicker order of our delicious Indian food!